Since the start of the 19th century, bathtubs have been a central feature of the bathroom. While they were traditionally made of cast-iron, modern freestanding bathtubs are a combination of acrylic, fibreglass and even porcelain – providing a focal point to the bathroom environment. Of course, in addition to the visual impact, the positioning of your tub is incredibly important. In recent times, freestanding bathtubs have become popular as a way of showcasing the sheer luxury and elegance of this bathroom fixture. So, if you’ve been considering a freestanding bathtub – what are some of the things that you need to take into account before buying? A freestanding bathtub in Lansell St, Camberwell. 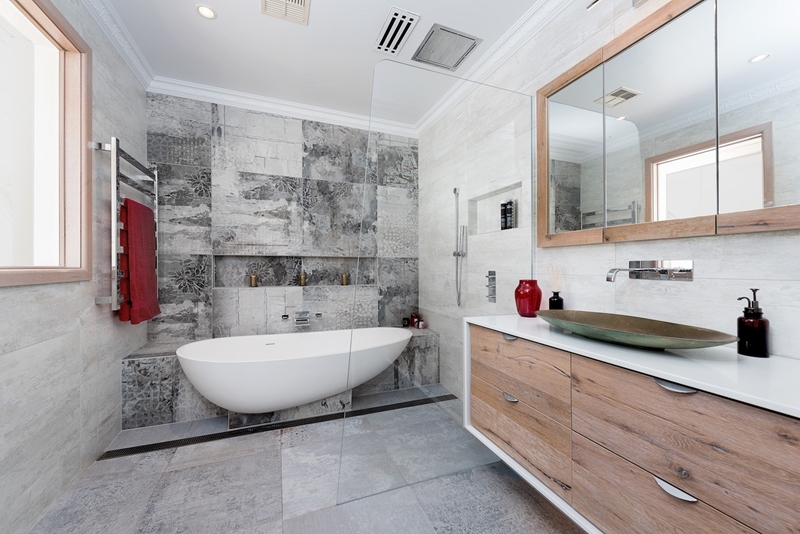 One of the first considerations you should have in mind is where the bathtub will be placed. Freestanding doesn’t have to mean ‘in the middle of the room’ and is more describing the fact that it sits separate from walls and other fixtures. A great choice is to install it close to a window, allowing the warm sunshine to filter into the room. You’ll also be able to enjoy the view from your private bathtub. As freestanding bathtubs can be difficult to clean around, the placement will be critical. What type of freestanding tub is best? At the end of the day, this is a personal decision that should take into account the design and style of your bathroom. If you’re looking for a more traditional bathroom, you could opt for tub with feet which adds personality to the space. Alternatively, if you want a more modern design, you can choose a pure white freestanding bathtub which adds a touch of luxury and beauty to the room. 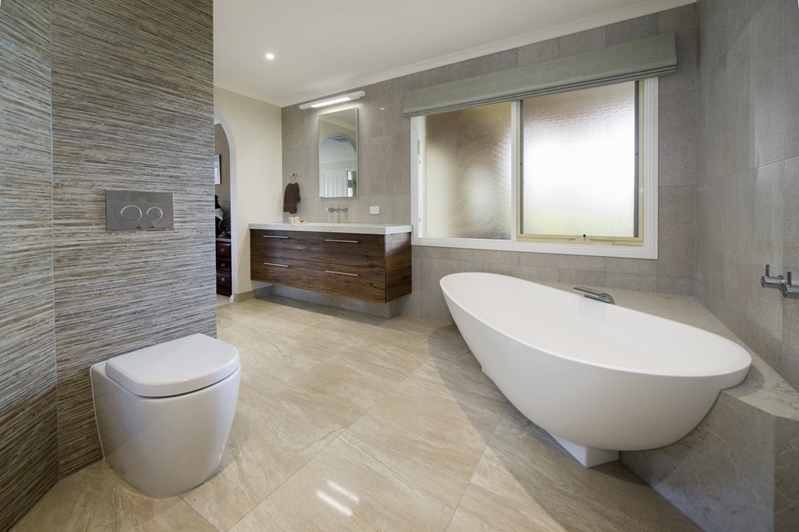 This Yarra Glen bathroom uses space well. While the size of your bathtub might be dictated by how large the space is, your needs should also be factored in. For example, if the kids have left home and you want a bathtub to have long, relaxing soaks, a short and narrow option could do the job. On the other hand, if you have young children who will bathe in the bathtub often, you may need a larger and deeper option. What accessories should I select? One of the drawbacks of a freestanding bathtub is that there is nowhere to place bathroom items and that bottle of champagne! As such, you’ll need accessories which can add both quality to the overall bathroom design and personality. From headrests and pillows to racks and taps, use accessories to complement the new feature in your home. If you’re interested in freestanding bathtubs or the semi freestanding alternative and want more advice on what would work best in your home, get in contact with the expert team at Bubbles Bathrooms today.